Did you know that about 90% of all data in the world was created in the last two years? Did you also know that each human being would have generated about 5,200 gigabytes of data during their lifetime? This data comes from so many different sources – every cell phone call creates data. Every credit card purchase does too. Every customer service call. Every Facebook post. Every website visit. An instant can produce tons of data. And they come in various formats and varying degrees of complexity. The world calls it BIG DATA! This is a goldmine for a clued-in business or marketer. It is every marketer’s dream to know enough about his customers that he can engage with them effectively, sending them the right messages at the right time and at the right place! That’s the good news. But the bad news is that not everyone knows what to do with all this data. Take for example a website that asked for all kinds of information before it let me sign on. I told them I was female. That I was interested in poetry, theatre and music. That I lived in a double income household with two young children. Promptly the website tried to interest me in a crash course in carpentry. They even threw in a discount! They had the data, but they had no clue as to how to leverage what they had! And that is where the whole thing rests. What can big data analytics do for you? Once this data is stored, cleaned up and sorted, the possibilities of what you can do with it, is limitless. Bottom line, it can revolutionize your business and its operations. Every bit of data in an organization can be analysed – you can find out what process is working and what isn’t – and tweak it to make it more productive. You can get answers to your questions – quickly and accurately. All your answers are backed by data. How powerful is that! And when data empowers your decision making, it results in a different level of success. It is possible to make predictions based on historical data. Most importantly it helps a business communicate the right message at the right time through the right medium to each of its customers. With the data that comes from mobile phones, businesses can spot opportunities to offer relevant services to customers – offers that are effective because of their relevance. Offers the customers simply cannot refuse! Some people have plunged into big data expecting miracles overnight. They expect their business problems to vanish. But the key is to remember that people, and not big data, solve problems. A clear strategy of what you are looking for from big data analytics, is needed. A lot of the data is ‘dirty’ – it is unstructured, fragmented, duplicate, and sometimes inaccurate. Only when it is cleaned up, can you work with it and ultimately trust the results of all your data queries. A lot of the data can be worthless – it is important to sift through the rubble to get at the bits of information that are truly priceless. So while big data is truly big – and has within it the capability to revolutionize your enterprise or the business landscape itself as a whole, what matters is who works with it. It takes analytical skills, razor sharp thinking and a clear strategy to derive the right kind of ROI from the systems that work the data. Throw all these together into a pile of data, and that’s when the magic begins. While the good news is that we have all this data, which can provide valuable insights about customers and their behavior, the bad news is that the insights are not right there at the surface, waiting for them to be grabbed and used. Every business wants to out-perform its peers – and when it comes to data, it is all about asking the right questions, getting data that will answer those questions, and then using those insights to back decisions. When data-driven decisions steer the business, you can smile all the way to the bank! Start by asking yourself everyday what you can do differently. Managing data is not easy – but when managed well, it makes everything worthwhile. If you are working with a pile of useless data, data that is not relevant to you, or data that cannot be converted into insights that will help you better customer experience or your marketing strategy, then it is a complete waste of time. Data helps in understanding the customer – their needs, preferences and unique position in the lifecycle – and in getting a complete picture of each one. The customer’s touch points must be understood as well – why he chooses to engage with a business through this particular channel, and not something else. Understanding the customer and making a profile for him will tell the staff what would interest the customer – which is where cross-selling and up-selling comes in. You will be able to tell what would work for each customer or for a group and what doesn’t. You will then be able to send the right message to the right customer at the time that is most right for him. This whole process of engaging with the customer can be automated – messages that are relevant and consistent across all channels can be sent out to each customer. In the automated process, an intelligent database will understand the background of each customer and recommend even a channel mix. All that is needed is an optimal multi-channel strategy with the right tools. For customer engagement to be meaningful, customer data needs to be available at all touch points – in a form that can be understood and used readily. This will facilitate instant customer recognition by all customer service executives, power each interaction so that it is meaningful and ensure the utilization of cross-sell and up-sell opportunities. A single customer view – loaded with all the available information about him – that is integrated across product, channel and segment is essential. 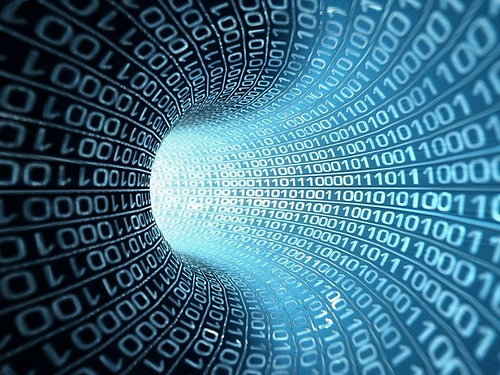 Data must include customer usage, associated history, lifestyle and transactional data. According to Gartner just having this information alone would result in a revenue increase of 48% 4! Great analytics – Most analytical tools will help you predict the best time for selling him something and also present you the next best offer. The best kind of campaigns are those that are multiple, concurrent and highly targeted which are based on real time triggers and retention campaigns based on current usage behavior and historic data. Data puts an end to assumptions. With so much information, there is no need for guesses – it changes everything. Decisions can now be made based on facts. Not assumptions or clever guesswork. On the other hand it empowers the company with information and insights. We have reached a point where one can safely say that no longer should any business discipline operate without the power of data. Data cannot predict a definitive future – Yes there is predictive analytics. And yes, it has the capacity to garner all the data available to make predictions. And those predictions can be even touch the high nineties when it comes to accuracy. But a 100 percent? Nope! Data cannot find a creative solution to your problem – that is never going to happen. The one thing that can find a great solution to a problem is creative human intelligence. No statistical data or algorithms can come anywhere close. Data won’t solve problems. People do! Data is not powerful by itself – what you do with the data? That’s where the power lies! Databases can do zilch for you if you don’t know what to do with them. Interpreting Data is not easy – Admittedly there is data. Tons of it. But that only means that there is a greater chance of confusion. There is a lot of dirty data that has to be removed first. And then there is the data. It takes a special skill to ask the right questions in order to then interpret and make sense of all this data. Data is not going to help you every single time – having data in your hands is truly a great thing. And when you know what to do with the data and make sense of it, which is even better. But there are things that go beyond the realm of data – human behavior, again! Or trying to figure out if there was life on other planets!